How Far is KVR Residency? KVR Residency - an address that is an oasis of calm, peace and magnificence in the hustle-bustle of the city, Vizianagaram. Your home will now serve as a perfect getaway after a tiring day at work, as KVR Residency ambiance will make you forget that you are in the heart of the city, Visakhapatnam Road. KVR Residency is a large project spread over an area of 0.21 acres. 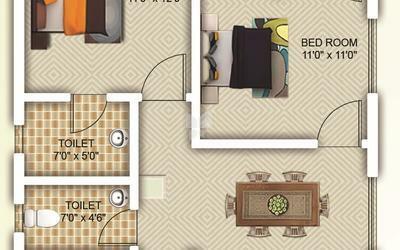 KVR Residency comprises of 2 BHK & 3 BHK Apartments in Vizianagaram. KVR Residency brings a lifestyle that befits Royalty with the batch of magnificent Apartments at Visakhapatnam Road. These Residential Apartments in Vizianagaram offers limited edition luxury boutique houses that amazingly escapes the noise of the city center. 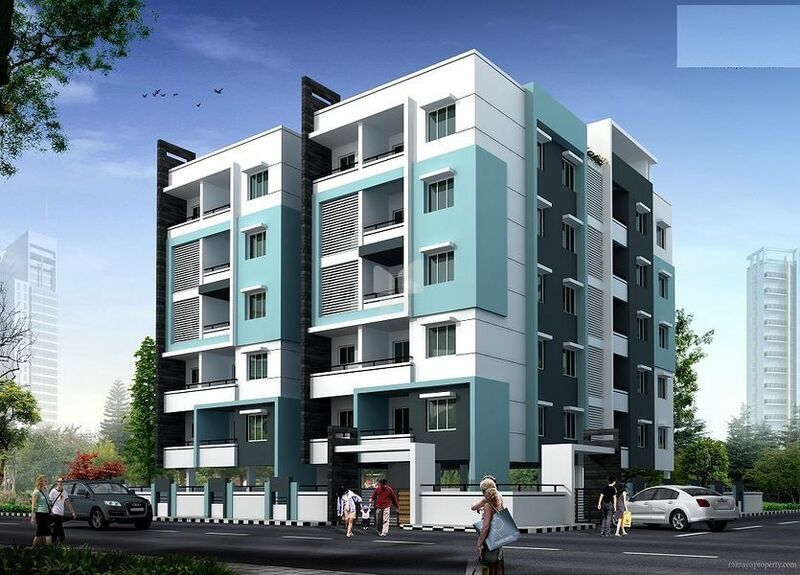 KVR Residency is built by a renowned builder at VT Agraharam Rd, VT Agraharam Vizianagaram. Rajahmundry Clay Brick Walls with Cement Motor (1:5) mix. All External Walls are of 6” thick and Internal Walls are 4½” thick. Cement Mortar (1:5) mix, 2 Coats For External Walls, One Coat for Internal Walls and CM (1:3) Mix for Ceilings. 2’x2’ Vitrified Tiles For Hall And Dining Areas. All Internal walls finished with Alltech Putty. Two coats of Premium Quality Plastic Emulsion of Asian or Equivalent make over 2 coats of Luppam. External – Two coats of Weather Proof Apex Paint over Primer of Asian or equivalent. Stainless Steel Sink, Granite Platform, Color Glazed Tiles for Dadooing. Non Skid Ceramic Tiled Flooring, Colour Glazed Tiles for Dadooing. White Colour Western Commode one number in attached Toilet and Indian commode for common Toilet. Hot and Cold Cater provision for Master Bed Room. All Water supply and sanitary items are reputed ISI make. CPVC pipes for Plumbing. Teak Wood Door Frames with Flush Shutter for Main Doors. Salwood Door Frames and Flush Doors for Internal Doors. Glazed Windows & PVC Doors for Toilets. Concealed Copper Wiring. Switches are Premium ISI make. Provision for Greasers, AC Outlets, Power Plugs for Refrigerators, Micro Ovens, Grinders, Washing Machines, Points for TV. Adequate Water Supply from Bore Well and ELSR. Generator Backup for Elevator, Bore Well and Common Lighting and Four Points in each Flat. Provision will be made for every Flat by providing Conduit Pipes. 5% Area is left for Tot Lot & Children Play Equipment. KVR Builders (KVRB) is a leading business conglomerate, developing iconic destination projects in Vizag. It is a platform for Design and Decor providing people with everything they need to construct and improve their Homes from start to finish. KVRB has top architects, interior designers, contractors and suppliers. KVRB is a doyen, altering the ethos and aesthetics of real estate in India brings high level of professionalism. It is acknowledged for developing well-planned, chic, future ready integrated communities that are productive & value creating across properties in multiple locations.